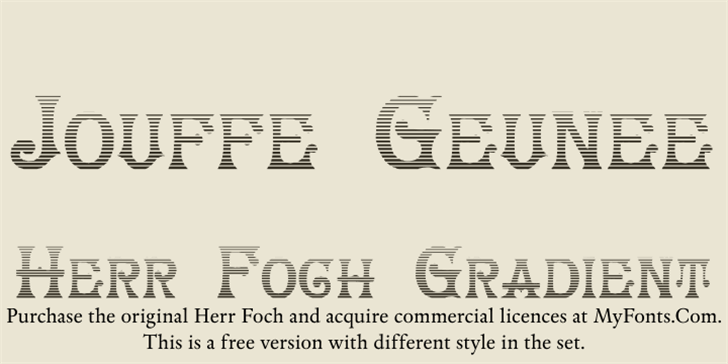 Herr Foch Trash and Herr Foch Gradient has different set styles than the original font, to use as free personal ideas, non-commercial. HerrFoch Gradient is a trademark of Paulo W, IntellectaDesign. 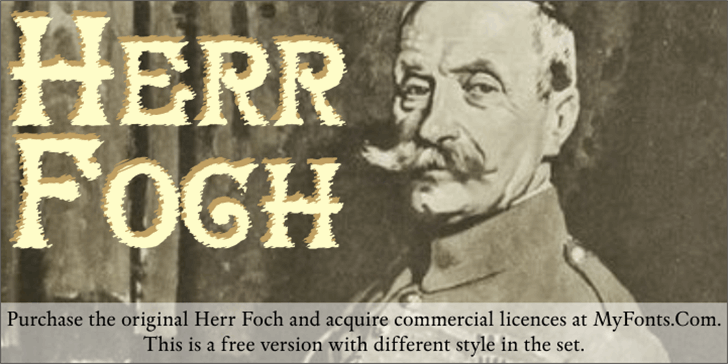 HerrFoch Trash is a trademark of Paulo W, IntellectaDesign.